As the “Rotolactor” revolves, the cows step in turn upon the platform, receive their baths, and are then connected up with the automatic milking machine. At the end of each revolution the cow steps off the platform and returns unguided to her stall in the cow barn. After the milk has been drawn by electricity into the sealed glass container above the cow’s head, it is carried thence to the weighing and recording device. From this point it is carried to an adjoining room, where it is cooled and bottled in record-breaking time. The milk is never touched by human hands or allowed to come into contact with the air. This prevents premature spoiling. And what happens if one cow’s milk is with some problem… it would dissolve in the milk of the others 49 in the “lactorium”? I’m confused. Why does it rotate? We just called the room with the big milk cooler on my grandpa’s dairy the “Milk House”. “Lactorium” would have been much cooler. Ah, the Rotolactor … I have seen it with my very own eyes, having grown up a scant ten miles from Walker-Gordon Daries. BY the way, that’s a misprint in the article – it was the Walker-Gordon Dairy, not Walker-Borden, although it was effectively Borden’s experimental farm. It rotates because the cows get on and get hooked up, then move along as they’re milked, then get unhooked and they step off – it’s faster than bringing the cows to stationary milking machines, or machines to the cows. Also, it’s show business – it just looks kinda cool to have cows in motion. And yes, if there was a problem with one cow’s milk, it would mix with that of all the other cows – do you somehow imagine anything other than this occurs in the modern dairy, in-the-round or not? Much like a lady on a winery tour I was on once asked, “What if a snake gets into the grape augur?” to which the tourguide replied, “Madam, wine is a natural product … ” All the milk gets tested in batches, not one cow’s output at a time. ANYWAY, thousands of NJ school kids visited Walker-Gordon and the Rotolactor was also featured at the Borden’s pavilion at the ’64-65 NYWF. I think it closed in the ’70s, the farm sometime thereafter – much of it is still on Plainsboro Rd. in Plainsboro, NJ., east of Princeton. The original Elise was from Walker Gordon and is buried there … her real name was “You’ll Do, Loubelia” Google Walker-Gordon (NOT Walker-Borden) and you’ll get lots of info. I believe the Rotolactor was also featured at Borden’s pavilion at the 39-40 NYWF. I think they showed this on Dirty Jobs as well. Mike Rowe was shooting the udders of the cows with a flame to burn off the hairs, to make it more sanitary. 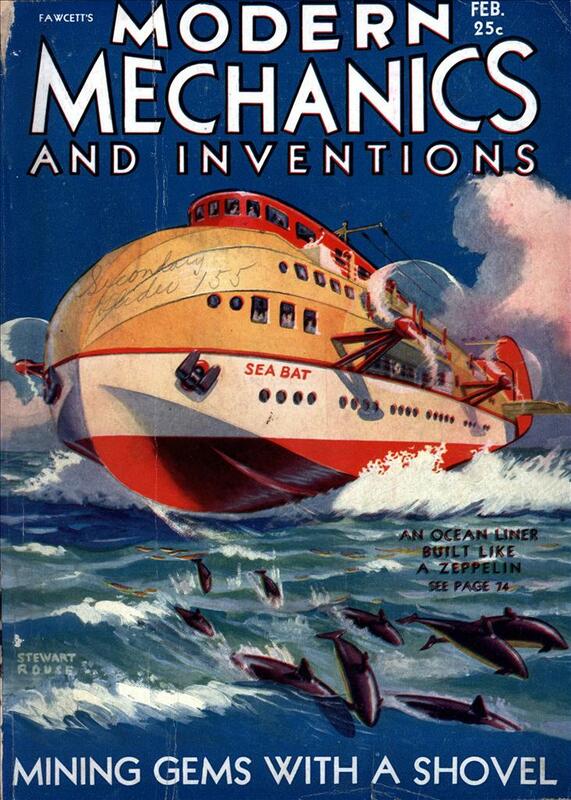 The Rotolactor was invented on November 13, 1930 by Henry W. Jeffries (Uncle Hank to me). It was actually at Walker Gordon in Plainsboro, New Jersey. I was born and raised in Plainsboro. My one grandfather, George Luther, Sr. worked at the dairy and my other grandfather, Bernard Brandon raised corn and wheat for feed. On a good day, the entire town smelled like manure. It was great! It was a real days outing to visit the cow’s merry-go-round in Plainsboro, nj. After the war and gas was easily obtainable, the family would pack up for the ride. A visit to the bull area was followed with the big event at the rotolactor after which came a large ice cream cone of Walker Gordon ice cream. After I was married, I visited Plainsboro with my wife and re-lived the great memories. I often pass the area on Rt #1 and think of the past. As child (then living in Princeton NJ) we went to visit Walker-Gorden as a school trip several times. I remember watching the cows have their udders cleaned, then seeing the cows getting on the big merry-go-round, very well. We watched from behind a glass observation area. No ice cream or bulls on my trips (that I can recall). 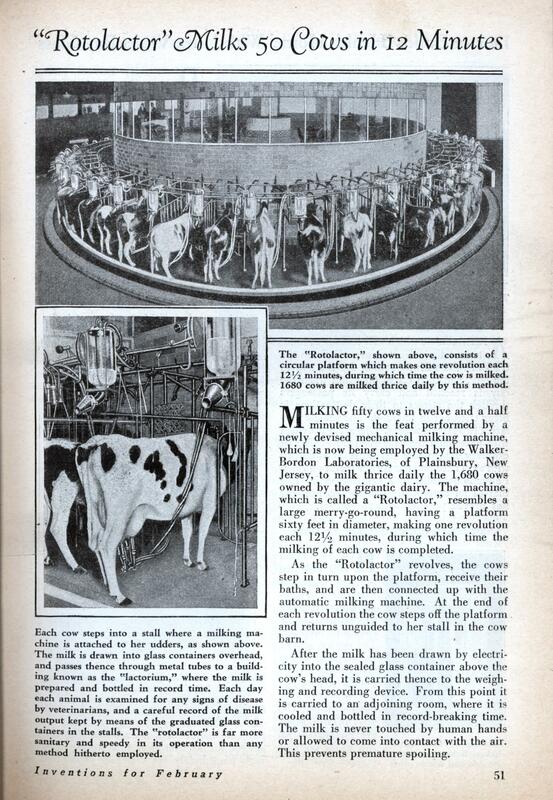 What Walker-Gordon specialized in was certified milk–as in milk that was not pasteurized. It was a niche-market product for a demographic equivalent to the organic foods market today. Some time in the 1970’s (maybe 80’s) certified milk was legislated out of production (I think due to an incidence of infected milk getting sold somewhere, or an infected cow on some farm–not specifically one of Walker-Gordon’s herd). That loss of their specialty market pretty much doomed Walker-Gordon. Nobody would pay their extra high prices for the same milk sold in supermarkets. Re: The Walker-Gordon dairies physical Plant: Does anyone of pictures of the interior/exterior showing the sanitary tiled walls and glazed brick walls? We are interested in archiving the images of tiles used in historic dairies ( and other places.) We are an archival library for American Tile history. And now thanks to Chrisso we are all going to see a real live Rotolactor at Cowra.